At just 22 years old, rising Norwegian vocalist Sigrid has been turning heads with the release of her debut single Don’t Kill My Vibe. It’s a fiery slice of pop brilliance, brimming with an understated attitude. The subtle melody – drawing from the likes of James Blake and Lorde yet with an unashamed pop edge – is packed with youthful confidence. 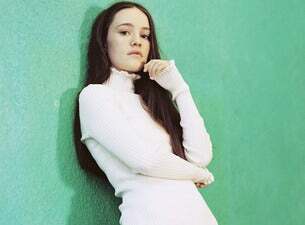 Sigrid has honed her style over the last few years, having began her career at the young age of 16 following a gentle challenge by her brother to write an original song and perform it at a local show with him. Having moved from the picturesque and quiet Ålesund to her current hometown of Bergen, her sound carries some of the country’s expanse with it. Sigrid has announced her biggest UK headline tour to date for November. The news comes as she is currently gearing up to support George Ezra on his upcoming UK arena tour in March. Sigrid is also putting the finishing touches on her debut album, Sucker Punch, which is due for release on 8 March 2019.